We shine a light on the dark politics of the General Assembly to hold lawmakers accountable and better equip the progressive movement in Virginia. 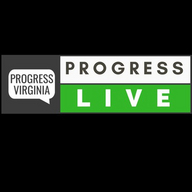 ProgressLive is a weekly news-style format livestream that covers the important legislation at the General Assembly. The live feed features clips, guests, and calls to action. The show discusses the importance of bills up for debate and why something should or should not be passed. Know your legislators. Know where they stand. Always ask why.